NEW MERCH ALERT: cozy sweatshirts now available! "WANT YOUR HEART" OUT TODAY! Happy release day to our brand new single, "Want Your Heart!" Support The Vindys on Patreon and get access to tons of exclusive content! GREAT ODIN’S RAVEN! The Vindys were on Fox 8 News Cleveland on Friday! JOHN & RICK ENDORSED BY EARTHQUAKER DEVICES! John and Rick recently received an endorsement from EarthQuaker Devices! JACKIE P FEATURED IN SHE IN THE CLE! Jackie P was just featured in the latest post from She In The CLE! We’ve got a fresh crop of Vindys shirts that will have you looking fly as hell. Check ‘em out! FEATURED IN CANTON REPOSITORY'S TICKET TALKS! WHOA, you guys... check out this incredible feature on Jackie and John from our friend Dan Kane of the Canton Repository! Catch Meaning Music Fest 2018! Back at the Rock Hall in May for the 2018 Catch Meaning Music Fest! "I love bands that know exactly what they are after and pull it off to near perfection." Greetings from Jackie in Germany! We miss our girl so much - but we're so happy she's having such a wonderful adventure in Europe! Our first show at Musica! We're not sure what kind of magical voodoo is in your water, Akron, but we can't get enough of you beautiful people. Our first show at Musica last night was epic, overwhelming, and humbling - HUGE thanks to the 175+ people who packed the place for us and made us feel so welcome and so loved. We have always had such an incredible relationship with our friends at The Summit, so we were SO thrilled for the opportunity to do our first Audio Technica Live at Studio C performance last week! We played for a packed house of guests from the Greater Akron Chamber and Summit staff. Co-Headlining Fiction Forest this July! 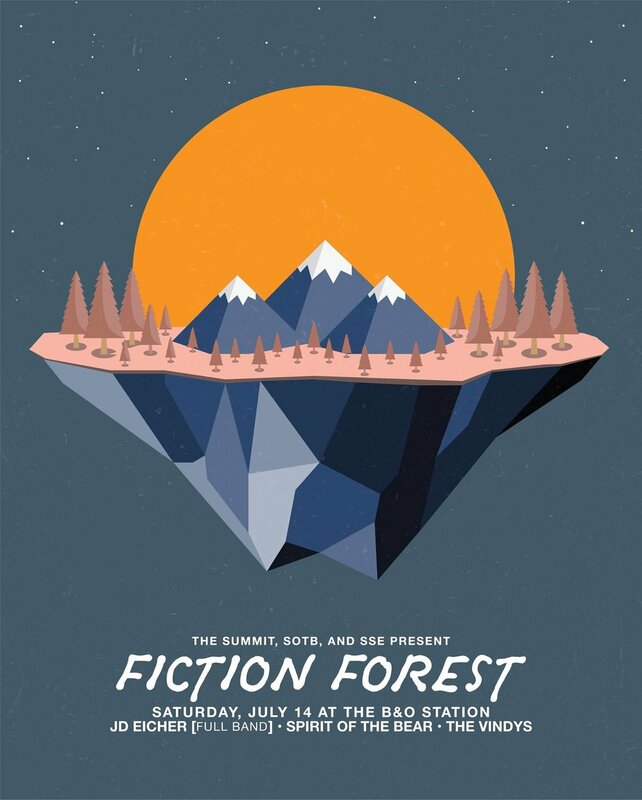 We're so excited to join our friends JD Eicher and Spirit of the Bear co-headlining Fiction Forest 2018 on July 14 at B&O Station Banquet Hall! Stay tuned for more details about this awesome event. 'Too Long' is NUMBER 2 on The Summit's Top 33 Local Songs of 2017! !